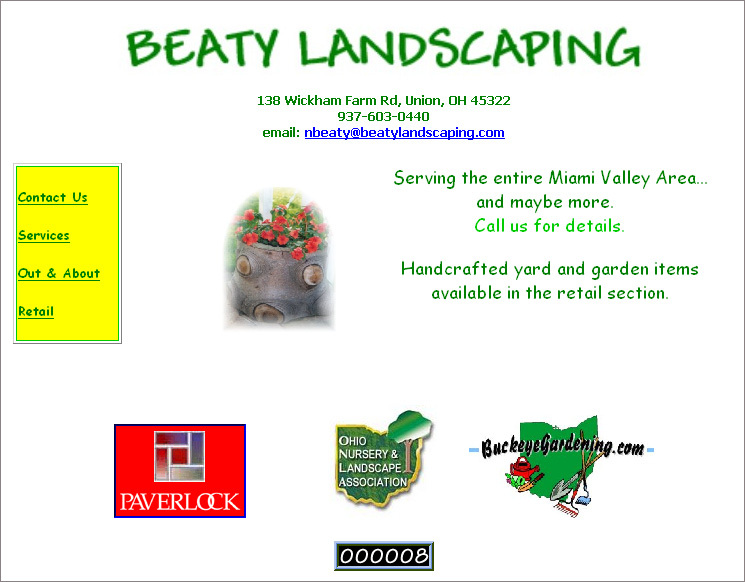 Beaty Landscaping is a full-service landscape service for residential and business locations, serving Southwestern Ohio. Owner and founder, Neil Beaty, believes that landscaping is the art that uses flowers and plants as paint, and the rocks, the soil, and the sky as canvas. It was our task to bring this vision to the visitor as well, and convey Neil's philosophy of design and structure. We believe we created a gateway through which his potential clients could get a feel for his business, and see his talents at work. We also created a logo and an identity for the business that gave it a polished, professional feel. Then we created a slogan to sum it all up for the visitor — Creative Design. Enduring Beauty. 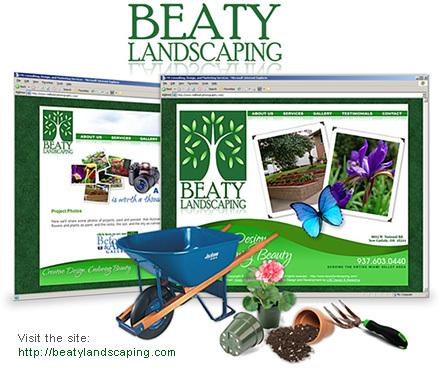 Here's a shot of the original Beaty Landscaping website for old times' sake.